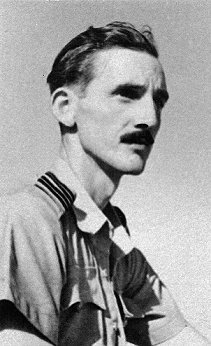 Ron Goodwin was commissioned into the Worcestershire Regiment on the 26th July 1939 and joined the 7th Battalion Worcestershire Regiment. After training with the battalion at Marlborough he sailed with them to France on the ss. Amsterdam troopship on the 14th January 1940, as part of the British Expeditionary Force. 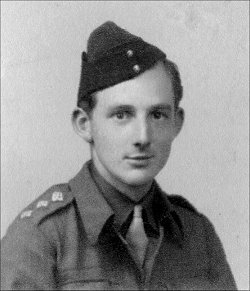 He was platoon commander of 16 Platoon of 'D' Company. During the withdrawal to Dunkirk he was involved in some heavy fighting at the La Bassée Canal. 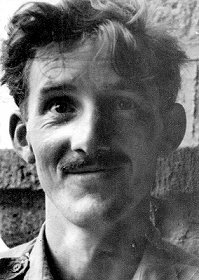 He finally managed to get to Dunkirk and on the 2nd June 1940 finally embarked on a boat to England. Out of some 800 men who landed with the 7th Battalion, approximately 250 men were killed or wounded and 150 taken prisoner. Only some 400 eventually got back to Dunkirk and escaped to England. On the 6th June 1940 a small nucleus of the 7th Battalion arrived at Dewsbury, in Yorkshire. 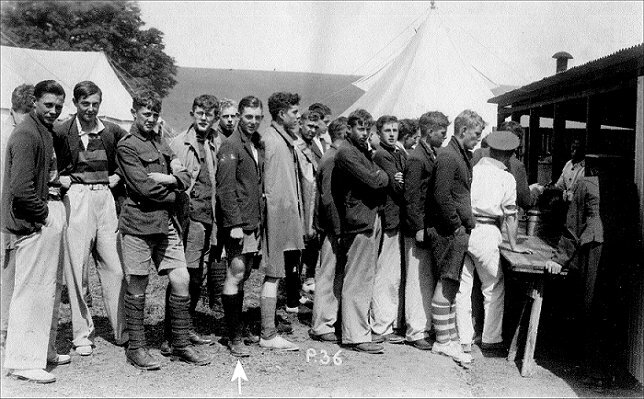 On the 14th June a large draft of fifteen officers and 210 other ranks arrived. This was followed a day later by another officer and a further 165 other ranks. The Battalion was now back up to strength and on the 22nd June 1940 the whole Battalion moved by bus to Burton Constable, where the companies set up camp under the trees in the park. The Battalion remained in Yorkshire for the remaining months of 1940. 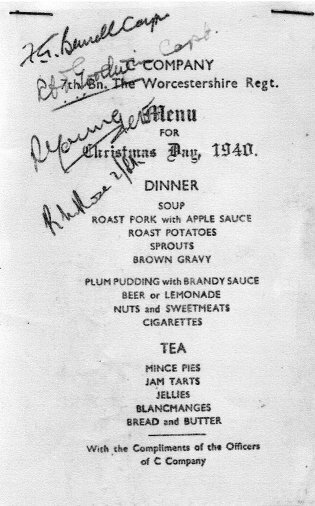 Ron Goodwin was now a Captain with 'C' Company on on Christmas Day 1940 together with his fellow officers of 'C' Company they provided a Christmas Dinner for their men. A copy of that menu is shown opposite - signed by Capt. F. G. Burrell, Capt. R. C. T. Goodwin, Lieut. R. Young and 2/Lieut. 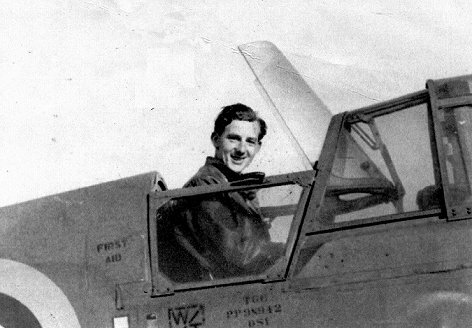 R.
In 1941 Ron Goodwin was selected to join the Royal Air Force as a Pilot Officer and started his training as a pilot at No. 7 Elementary Flying School, Desford, Leicestershire. In 1939 a grass airfield had been developed outside the village of Desford and the majority of planes used for training were De Havilland Tiger Moths, which were single engine bi-planes. During this period Ron and his friend, Trayton Holms, decided to take a trainer aircraft for an illegal spin. At one point each thought the other had control of the aircraft, resulting in the inevitable crash (see photo below). 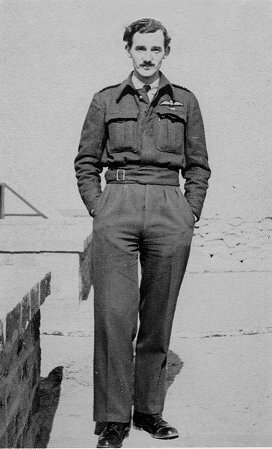 Ron finally qualified as a pilot and was promoted to Flying Officer on the 1st October 1942. 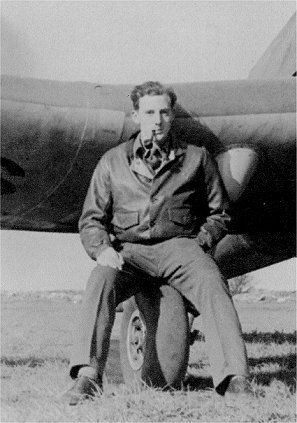 A year later on the 29th November 1943 he was promoted to Squadron Leader. 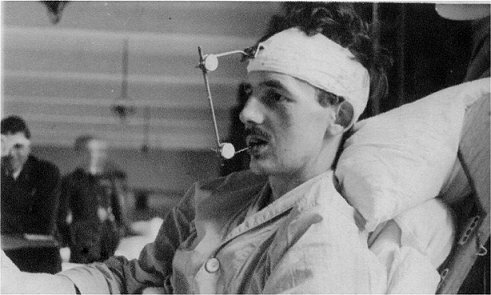 Ron spent the last years of the war test flying in India, where he was apparently overstressed and under nourished and suffered health problems. 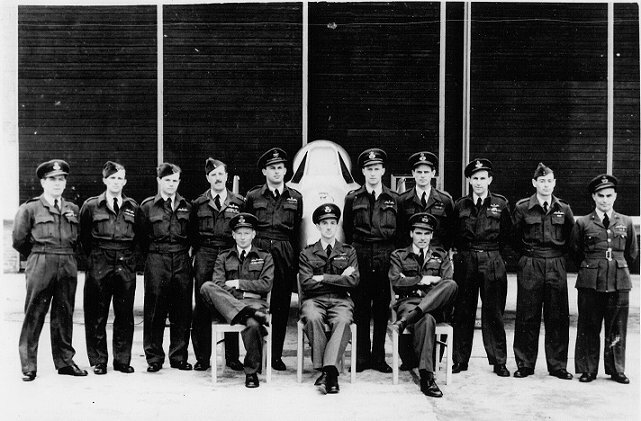 In December 1947 he transferred to the Royal Auxiliary Air Force as a Flight Lieutenant and on the 1st September 1948 was appointed to command 605 (County of Warwick) Squadron at their base at RAF Honiley, Warwickshire. He relinquished command on the 1st September 1949 and transferred to the Reserves. 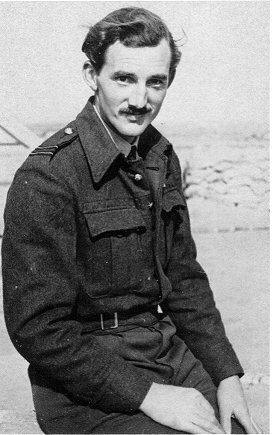 He was awarded the Territorial Army Efficiency Medal in January 1949. 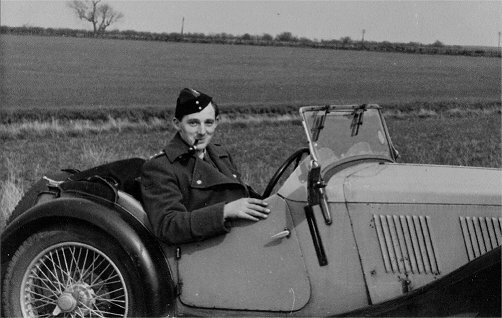 He finally retired from the Royal Auxiliary Air Force Reserve of Officers in December 1957. 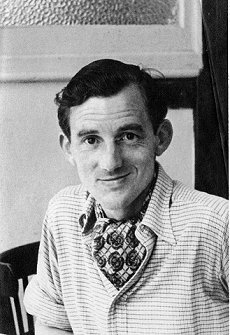 Ron Goodwin died in July 1998 at the age of 80. Thanks to Jenny Goodwin, Ron's wife who very kindly supplied all the photos used here.